Last week big news broke from both Royal Caribbean and Carnival Corp & plc. Royal Caribbean for its part will be sending its newbuilding “Quantum” class ship Ovation of the Seas to cruise from China next year, bringing the Royal Caribbean International fleet based in that country to five ships sailing from four ports. Meanwhile, for its part, Carnival Corp & plc has announced orders for nine new ships, five from Fincantieri and four from Meyer Werft. As yet, their distribution has not been announced but they are to be delivered between 2019 and 2022 and will be not only for European and North American brands, but also for China. In big news last week, Royal Caribbean announced that it will send its third “Quantum” class cruise ship, Ovation of the Seas, to China when she debuts in April 2016. Ovation of the Seas will be based in Tianjin, seventy miles southeast of Beijing, adding a fourth city to Royal Caribbean’s Chinese port line-up. 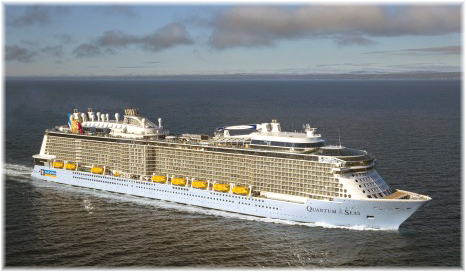 Meanwhile, in May 2015, Royal Caribbean will send its Quantum of the Seas from New York to cruise from Shanghai. Ovation also being a “Quantum” class ship, this means that two of the three “Quantums” will be sailing from China year-round. No other cruise line has yet put a newbuilding in China, let alone two new ships. Together with Quantum of the Seas and Ovation of the Seas, three other fleetmates will see Royal Caribbean offering five cruise ships in this new and rising market. – A 12-night Exotic Asia cruise, from Singapore to Tianjin. The five ships Royal Caribbean is sending to China will be based in four ports – Shanghai, Tianjin, Hong Kong and Xiamen – and mainly sailing 3- to 12-night itineraries to Asian destinations that will include Japan, Korea, Taiwan and Vietnam. Carnival Corp & plc has meanwhile signed joint venture agreements with China State Shipbuilding Corp and Fincantieri with the goal of producing a cruise ship design for the Chinese market. Carnival has to date been concentrating most of its efforts in China on ships operated by Costa Cruises and Princess Cruises, while Princess has also been working on Japan. It seems from the latest Carnival shipbuilding announcement made last week (see below) that the group will build a first Chinese newbuilding in Europe, probably at Fincantieri. Last week also came news that Carnival Corp & plc is ordering a total of nine cruise ships, five from Fincantieri and four from Meyer Werft. Not since Canadian Pacific ordered nine ships together seventy years ago has a similar order been placed. In the case of Canadian Pacific, in a fleet modernisation program, the then-conglomerate placed orders in 1926 for four 1,570-berth “Duchess” liners for the Liverpool-Montreal route and five 10,000-ton “Beaver” cargo liners, then among the largest cargo ships in the world, for the Montreal-London route. The nine ships were all delivered between 1927 and 1929, with the three “Duchesses” delivered by John Brown and one by Beardmores of Dalmuir, two “Beavers” each by Barclay Curle and Armstrong Whitworth, and a fifth coming from the famous Denny of Dumbarton. To these were added two “Empress” ships, the record-breaking Empress of Japan on the Pacific in 1930 and the Empress of Britain on the Atlantic in 1931, and two “Princess” ships, predecessors to today’s Princess cruise ships, the Princess Elaine and Princess Helene, on the Canadian coasts. 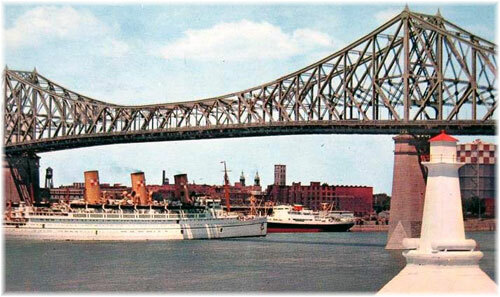 Today all Carnival ships still carry an Empress deck in commemoration of the fact that its first two cruise ships, the Mardi Gras and Carnivale, had in fact entered service as Canadian Pacific Empresses. Fincantieri will build five of the new vessels at its shipyards in Monfalcone and Marghera in Italy while Meyer Werft will construct the remaining four at both its German yard at Papenburg and its new and larger capacity Finnish yard at Turku. Carnival Corp & plc now has 101 ships in its fleet, although this number will be reduced this year, as two ships are delivered and four sold. Ten ships are meanwhile already on order to enter service between 2015 and 2018. 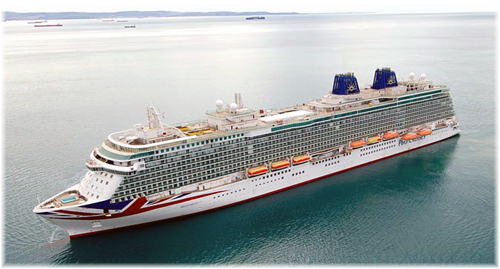 Carnival ships entering service this year include P&O Cruises’ Britannia and Aida Cruises Cruises Aidaprima. The current expansion will also add ships to the company’s Carnival Cruise Line, Holland America Line, Princess Cruises and Seabourn fleets but Carnival has not yet revealed which of its nine brands will get the new ships. Financial details were not disclosed but there can be no doubt that by dealing with just two shipyards Carnival is exerting pressure based on the company’s size to obtain significant discounts on its latest purchases. And now, strictly in the realm of speculation, it is expected by industry observers that Meyer could still build two additional Aida ships at its facility at Papenburg, while Fincantieri might build a new Costa giant and maybe some copies for Carnival and Princess. Others project that P&O and Princess might each get a follow up ship from Fincantieri, while if Aida wants to go big it might get two of a “Seaside”-style design from Fincantieri, with Holland America getting another Koningsdam. Costa and Carnival could then get a pair each from the larger Meyer yard in Turku, of a new design between 175,000 and 200,000 tons. The largest of one class ordered by Carnival in the past was the eight-ship “Fantasy” class, which appeared between 1990 and 1998 and are now seeking new lives as they are displaced by larger ships with more balconies and numerous additional passenger amenities.